During my long career as a Niagara on the Lake realtor, I’ve assisted countless home buyers find their dream home. While there are a variety of considerations to make when purchasing a new home, the one that matters most in my experience is the neighbourhood where a home buyer chooses to live. If you don’t choose the right neighbourhood, you can’t fully enjoy your home, which is why I always tell my clients to closely consider the benefits of living in a given community. Here are some of my best tips for choosing your neighbourhood and hints for finding your perfect Niagara on the Lake realty with my help. When you’re choosing a new family home, one of the most important things you can learn about a neighbourhood is what it offers in the way of educational institutions. 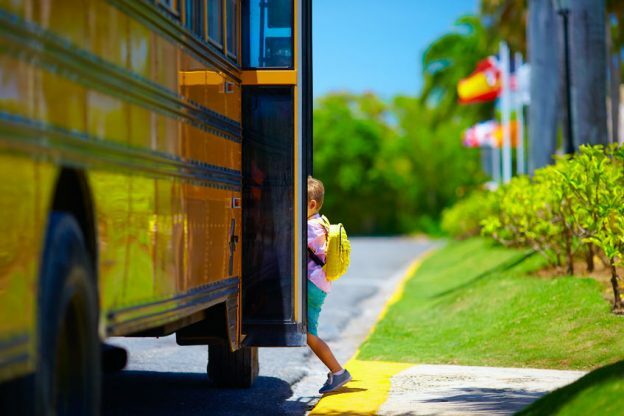 For my clients with children, finding a neighbourhood with high-quality schools is of the utmost importance, and it should also be something you consider when choosing your neighbourhood. Make sure to consider the quality of schools at all levels in your neighbourhood. Will your child get an effective education starting in primary school and ending with their secondary school graduation? What are your options for private school? Answering these questions will help you determine if a neighbourhood is right for you and your family. An increasing desire of home buyers that I’ve noticed is the desire to have access to fun and excitement right outside of their doorstep. Most homebuyers want a community that they don’t have to leave to find good times, and if this is what you’re looking for, you need to examine the access provided by any neighbourhood that you are considering. If you like a fast paced lifestyle, it’s a good idea to make sure that your neighbourhood offers multiple recreational opportunities. You should also consider the level of convenience your community provides in regards to transportation and access to grocery stores, doctor’s offices and other important establishments. Examining these issues should ensure that you get the level of enjoyment out of your neighbourhood you deserve. When you’re away from your home, you want the peace of mind that comes from knowing your family and your property are safe. It is for this reason that I always advise my clients to examine the crime statistics of a neighbourhood before purchasing a home. In addition to examining the crime rate in a community, you want to consider the types of crimes that a neighbourhood experiences. While it’s uncommon for a community to be completely crime-free, you should look for a neighbourhood where the rate is low and the offences are minor. If you keep these basic facts in mind, you should be able to purchase a great home in a fantastic neighbourhood. When you’re ready to buy a new home, your best solution is to get Niagara on the Lake realty services from a trusted realtor like me, Kevin Stokes. Over my career, I’ve become very familiar with the Niagara on the Lake community and the needs of home buyers. When you work with me, I can help you choose your neighbourhood and find a home that you and your family will be sure to love. Contact me today so we can discuss what you’re looking for in a new home. This entry was posted in Blog on May 23, 2017 by Kevin Stokes.